In order to promote nutrition awareness, General Ricardo Sanchez Elementary Pre-K-1st grade students visited H. E. B. Bakery to learn about the different food groups and their nutritional value. Students participated in various hands-on activities and small group discussions. Additionally, they visited the Rio Grande City Public Library where kids were introduced to resources available for leading a healthier lifestyle. 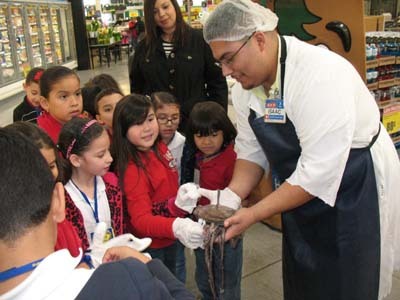 These educational trips enhanced students’ awareness of healthier lifestyles and will help them make better food choices.